Our research question is how musical experience alters brain responses during listening, particularly when you're listening to something you're an expert at producing. So does your brain care more when you know how to do something, and what are the parts of the brain that care? Why have you chosen beatboxers for this study? We've been focusing on two groups of musicians, guitarists and beatboxers, because the kind of motor expertise you build for playing the guitar is quite different to what you build when beatboxing. However, both are incredibly dextrous - we've got some real time MRI videos of beatboxers that really demonstrates this! Also, unlike classical musicians, both electric guitarists and beatboxers tend to start playing only in late childhood or their teenage years. And we were curious about what happens to your brain when you learn to do something fun just because you want to. We've played guitar music and beatboxing to guitarists, beatboxers and non-musicians, and we're now in the process of exploring brain activity related to expertise. Exciting times ahead! This research is funded by the Wellcome Trust, by means of a Senior Research Fellowship to Prof. Sophie Scott. How many people are on the team or is it just you? These studies are usually large, collaborative projects. I’m working in Prof. Sophie Scott’s lab and we designed this study together. While I’m leading the study, I’ve benefitted from lots of input and technical support, most notably from Dr. Sam Evans (another postdoctoral researcher at the ICN) and Reeps One. Also, Dr. César Lima, Sinead Chen and Stella Guldner have helped me run the study and have been incredibly important to getting this study completed. What led you into this particular field of research? I’m particularly interested in how learning and development change the brain’s responses to sound. 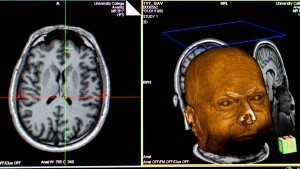 During my PhD, I worked with fMRI to look at language development in children. One question that always comes up is whether it’s maturation or experience that ends up contributing to changes in brain responses. So this project offered me a chance to look at people with lots of experience that others don’t have, and that’s how I got into studying the brains of beatboxers and guitarists. What parts of the brain are you looking at - i.e. any in particular? We’ve known for a long time that listening to sounds activates the temporal lobe, so we know that we would expect to find activation there across musicians and non-musicians. But what we’re really interested in is the different motor experience that guitarists and beatboxers have relative to each other and the non-musical listener. So we’re excited to understand whether the motor regions of the brain of experts will respond differently to non-musicians. What beatboxers have you used for the research - both for analysing and for the playback/listening? Our stimuli were recorded by Reeps One and we are really grateful that he let us have access to these. There have been 20 beatboxer, 20 guitarists and 20 people in the control group. The beatboxers have been awesome! 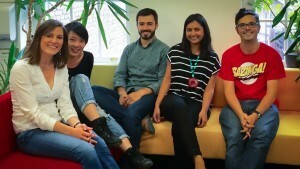 Is this the first study to use beatboxers? 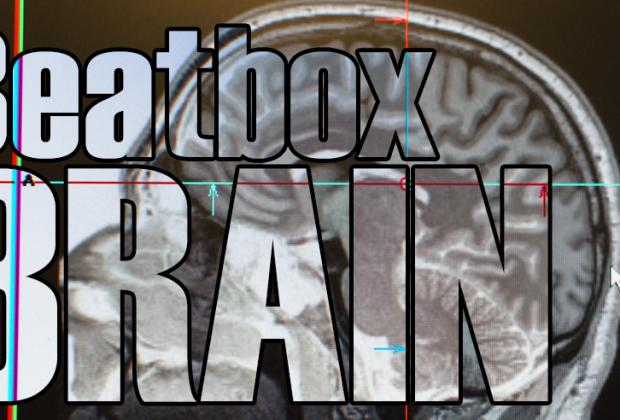 This is the first study to focus on the brains of beatboxers. There are other studies that focus on mouth movements during beatboxing using real-time MRI or functional endoscopy, but these have tended to look at a very small number of beatboxers (1-4). Also, in our study, we’ve systematically looked at a large group - this should make our results more generalisable. 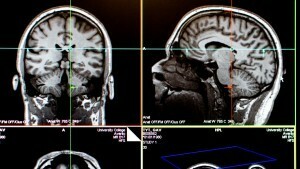 In what way will this research contribute to our understanding of the brain? This research will add to our understanding of brain plasticity. We want to understand how experience shapes brain responses, and most of the research from the auditory domain has focused on classical musicians. But both guitarists and beatboxers start learning much later, and the training involved is very different, and we hope this is going to give us a very different perspective to what’s already out there. Have you noticed any difference between guitarists and beatboxers? We’ve noticed that the guitarists are more punctual! (just joking) We’ve loved interacting with the beatboxers - there’s always been a lot more noise when we have a beatboxer in and we’re delighted that almost all of them have shown off their beatboxing to us, it’s like having a private gig. More seriously, we’ve been doing a series of tests looking at IQ, hearing, auditory discrimination and it’ll be interesting to see if beatboxers and guitarists perform differently on any of these. One difference we have noticed during recruitment is that guitarists have more formal training, whereas most of the beatboxers have been self-taught. What would it mean if there was a difference between the appreciation of beatbox between a beatboxer and non-beatboxer? It would suggest an expert response. A similar thing is noticed in the brains of ballet / capoeira dancers - ballet dancers respond more to ballet, and capoeira dancers more to capoeira. It’s unclear what the behavioural consequences are, that’s something we’re interested in exploring further. How do you determine if the brain 'cares more' when you're an expert listener? It might suggest a route into how we understand certain aspects of the music - perhaps less about the sound but much more about the difficulty of execution. It would also indicate that beatboxers have a richer representation of beatboxing, because they understand the motor aspect of the music better than non-beatboxers. 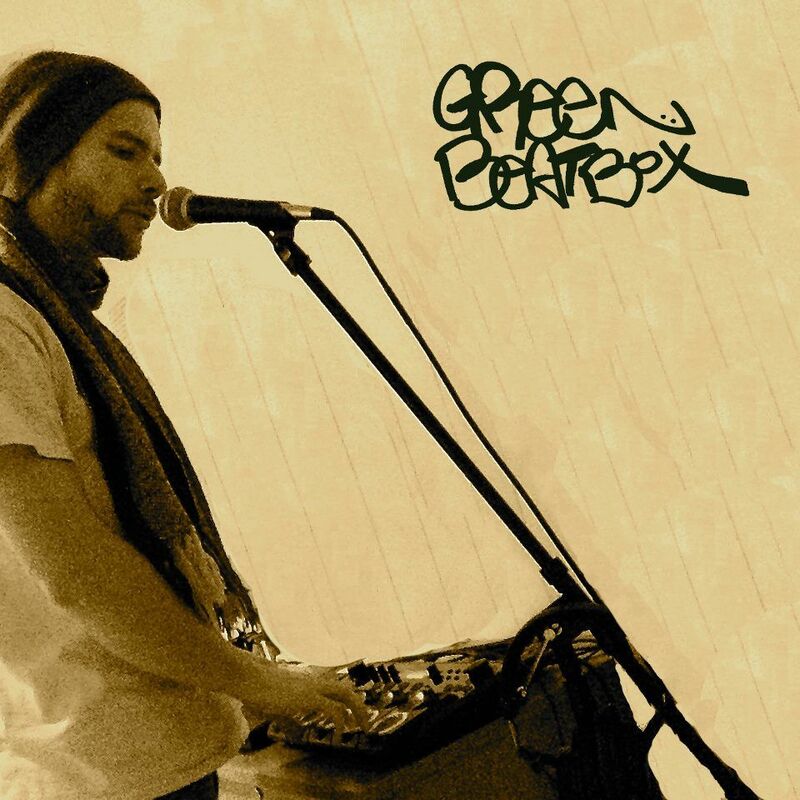 Can you differentiate between beatboxing and language development - i.e. do different bits of brain light up? I’d love to look at the relationship between beatboxing and language! My current study doesn’t use language stimuli so it’s hard to comment, but other studies have shown that listening to both music and speech activate very similar parts of the brain. Perhaps in future work! What do the initial findings indicate so far? We’re currently in the process of analysing the results and haven’t published these yet. The best kind of result would be something we call a ‘crossover interaction’. So, we’d like to see that the brains of guitarists respond more to guitar music, and the brains of beatboxers respond more to the beatboxing. We can’t say where the research will be published yet, but writing this paper is top of my list of priorities. It takes a while for academic papers to go through - so I’m afraid you’re going to have to wait and see! What does an MRI do - what does it measure and (in layperson's terms) how? Functional MRI measures changes in the BOLD response, and is an indirect measure of neuronal activity. The principle is that the neurons that are working hard will take up more oxygen and the blood supply is what delivers this. The BOLD response reflects changes in the ratio of oxygenated to deoxygenated bold. These changes are quite small so we have to use statistical analyses to decide what constitutes a significant change. 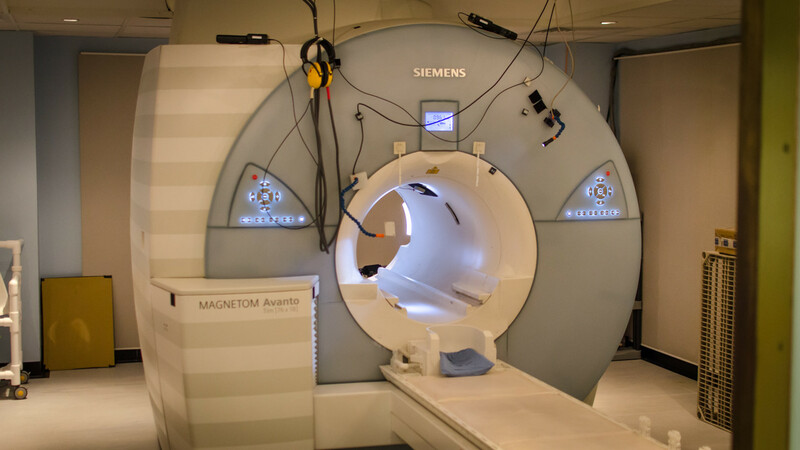 Do you have your own MRI scanner or do you have to hire one? UCL owns a few MRI scanners, and we have access to these, but we have to pay when we use them. 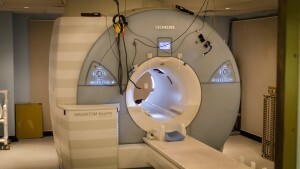 The one we use is at the Birkbeck-UCL Centre for Neuroimaging and is only used by researchers. 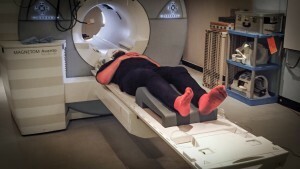 How do you record video from an MRI? 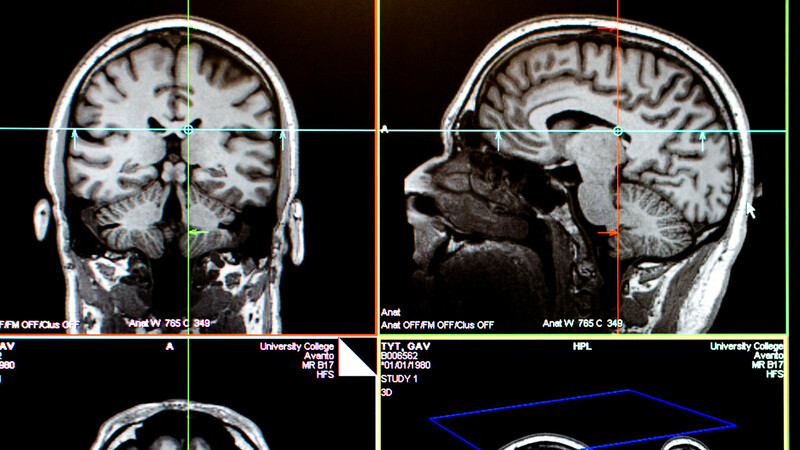 An MRI scanner can take high-resolution images of the brain and body. What we’re really interested in is the hydrogen atoms of the body, which normally display a random spin. In the presence of a magnetic field, these atoms line up with the field (a bit like iron fillings!). By applying a radio frequency pulse we can move these atoms away from their original position, and when the pulse is removed, they spin back to their original position and give off energy. We can measure this energy using coils to make nice pictures. To make a video (or functional scans), we compromise a little on the detail of the pictures, and instead take many pictures quickly. By putting these pictures together in time, we can then understand how the brain is responding to different kinds of stimuli. This is great! Can’t wait for the results! Another step towards making beatboxing recognized in the science and music communities! 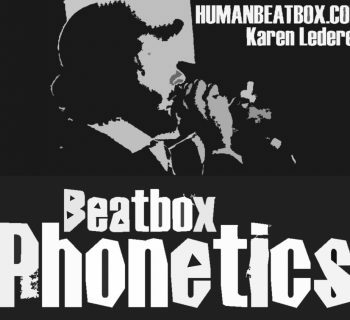 Bring beatboxing into the light!